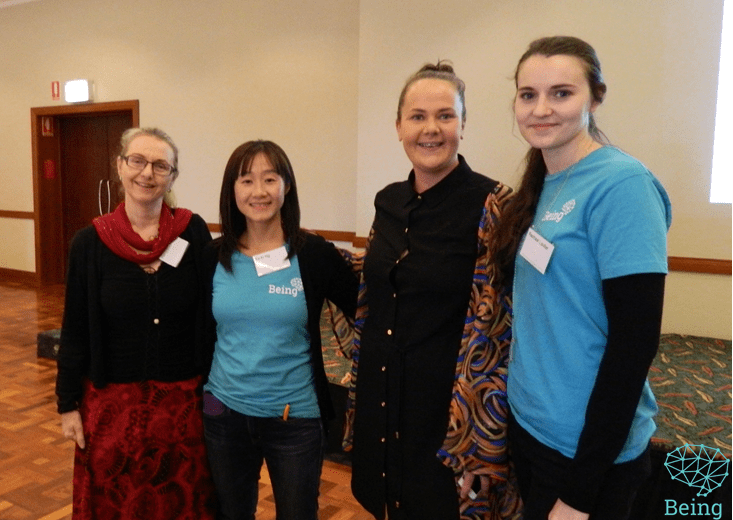 The 2016 Recovery Conference was held in Sutherland and aimed at exploring the connection between home and wellbeing, and ways for consumers to advocate for communities and homes that support mental health recovery. Throughout the course of the day, attendees were introduced to systemic advocacy and the topic area: from House to Home. BEING CEO, Dr Peri O’Shea, presented a summary of systemic advocacy principals and history, and Peter Shaecken, who is an experienced mental health advocate, spoke of his experiences of advocating for the rights of mental health consumers. Karina Ko, Policy officer at BEING, spoke about the findings of the Home Project, which set the tone of discussion for the day. This project outlines the importance of housing on mental health recovery, the barriers faced by mental health consumers and what really makes a home that is supportive of recovery. You can find these presentations and program from the 2016 Conference on the BEING website by following this link. The conference was joined by a number of panelists from services that work to create and support safe, inclusive and stable homes and communities. Our panelists included Julie Forman of the Tenants Union of NSW, Marie Everitt of The Sutherland Shire Council, Elizabeth O’Neill of Orana Hub (formally Sutherland Neighbourhood Centre) and Shane Jackupek of St George Housing and Accommodation Support Initiative. These panel members spoke of the avenues for advocating in our local communities, and on the wider systemic scale, and how to further work with different types of services and organisations to achieve a common goal. There were also in depth workshops, which were facilitated by experienced consumer advocates where people could learn practical skills and strategies around advocating for systems changes that support mental health recovery. These workshops aimed to give mental health advocates skills and tools to assist them in focusing their advocacy work to achieve the greatest effect. The event was directed by Master of Ceremonies Jenna Roberts, a consumer working at INFORMH, and was formally opened by Councillor Hassan Awada, Deputy Mayor of Sutherland Shire, who spoke of the important role that mental health services play in his community. We hope moving forward that BEING will be able to provide some basic assistance to consumers and consumer groups advocating alongside us for systemic change in NSW. Don’t forget to check out this article written by a conference attendee, Matt Paskernak, to give you the consumer view.